This year was filled with its share of stellar new trends, many of which (hi, animal print and square-toe shoes) we'll wear long after the ball drops. But since 2018 is now officially in the past, it's time to look ahead in our current year, specifically what stylish women will be wearing in our current year of 2019. One person who would certainly know is Lucy Akin, the owner of the beloved Los Angeles–based boutique Shop Super Street (don't worry—it's online too in case you're not in the area). Akin has a keen eye for trends and brands that are under the radar yet on the verge of becoming major, and she even has a highly covetable line of her own, Ciao Lucia. Since Akin seemed like an excellent person to consult on the subject of the 2019 trend that freakishly stylish women will wear first, that's exactly what we asked her. "I think an under-the-radar trend that's going to come back full force is maxi-length minimal pieces," she told us. "I think Valentino had a beautiful runway show of really beautiful maxi dresses and trenches in simple classic silhouettes. The trend was continued at always beautiful Lemaire, the rising star Cecilie Bahnsen, and the fashion cult favorite—Maryam Nassir Zadeh." And that's not all. "With Celine changing," she added, "I think there is a womanly client out there that still wants intellectual but feminine clothes." Keep scrolling to see the trend on the runway and IRL, and shop maxi-length minimal pieces that are very 2019. This It brand made a perfect skirt. Who's ready for a warm-weather vacation? So chic with the addition of the belt. 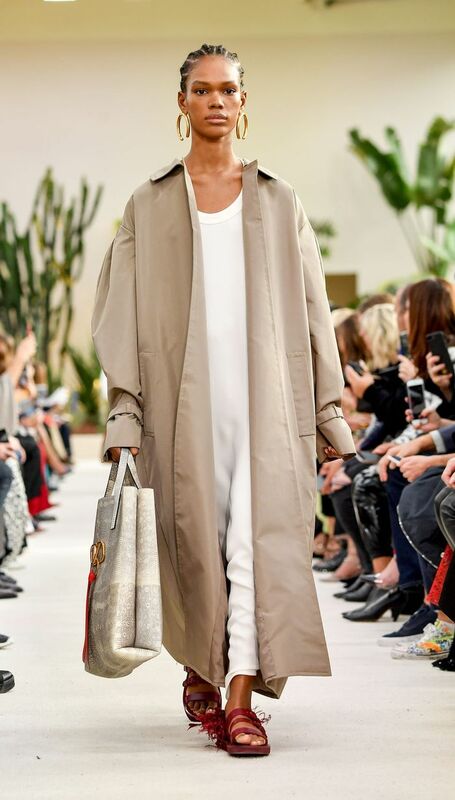 This trench is just plain beautiful. This color is all we want to wear right now. Dresses like this are why Lemaire pieces fly out of stock. A skirt this special is a worthy investment. Every fashion person wants to get their hands on this dress. Can you believe a skirt this chic and under $50 exists? We'd style this with an oversize blazer and minimalist The Row sandals. Next up: five new trends everyone will wear with jeans this year.